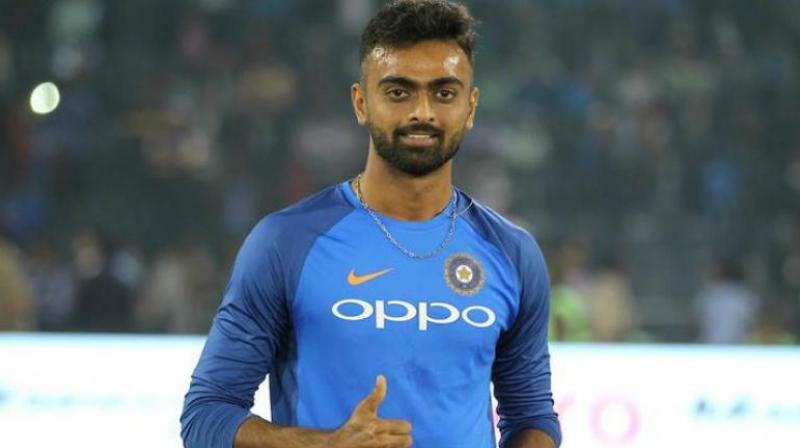 It's been more than eight years since a 19-year-old Jaydev Unadkat made his Test debut for India. Since then, only 17 appearances have followed, with none coming in whites. There are glimpses of hurt but Unadkat has no complaints about how things have panned out. He has had a memorable season with Saurashtra this time around, picking up 39 wickets in eight games after being handed captaincy. Saurashtra, not recognised as traditional heavyweights in the domestic scene, reached the final yet again, only to fall short for the third time in the last six years. "Coming from our place, Saurasthra, where the culture isn't such where we beat the big teams, if you look at the past 5-7 years, we've changed that and built our own brand of cricket," Unadkat points out in a chat with Cricbuzz. "Saurashtra looks the most well-knitted unit in the domestic circuit. I'm proud of the fact that we've been able to build a culture and leadership has come at the right time for me. It's early days, there are a lot of youngsters in the team, so it can only get better from here and I'm really excited. "We've had a fabulous season. We reached the final of the four-dayers, we did well in the Syed Mushtaq Ali as well, winning four out of six games. So the season has been fantastic. There were 3-4 youngsters who made their debuts this year and performed well. They showed the amount of talent we have and it's about nurturing the talent to the fullest." Despite their solid performances, Saurashtra is represented in the IPL on a consistent basis only by Unadkat and Ravindra Jadeja. Robin Uthappa has only recently made a switch to the side following his long-term association with Karnataka and Cheteshwar Pujara, the biggest name from Saurashtra, doesn't get to play in world's most famous T20 tournament. Unadkat is hopeful of things changing soon with a few youngsters getting recognised for their performances. "I would love to see a few other guys with IPL contracts," he says. "I think the exposure in the T20 format is a bit low. We don't really play a lot of T20 games like other states who have their own leagues. Now that we are qualifying and making a mark at the domestic level, there will be eyes on everyone and I'm sure in the next couple of years, if they keep on doing well, the youngsters will get their opportunties." The focus quickly shifts back to the 27-year-old from his domestic teammates as he gears up for the upcoming edition of the Indian Premier League. A career of brilliant promise appears to be back on track. Being a left-arm pacer has its own advantages in this part of the world. The factory hasn't produced many and among the ones that came through, only Zaheer Khan remained truly world class for a number of years. And when Unadkat made rapid strides, the comparisons were already being made as he was looked at upon as the ideal successor to Zaheer, whose career was slowly drawing to a close. While he has failed to seal his spot over the years, a route back into the national side appears even tougher now. India's pace bowling stocks have never been higher earlier, especially after their triumph in Australia. But that's only pushing Unadkat harder to improve himself with special emphasis being laid on fitness. "There cannot be a better competition than what it is at the moment," he points out. "Everyone has raised the bar so high, whoever wants to come knows they are competing with the best. I've been looking to raise my standards high as well with every single game I play, looking at them and learning things. They play every game like it's their last game and that's been the hallmark of this team, they play every game to win giving more than 100%. That's what I'm going to do as well. I don't want to dwell on making comebacks. Obviously, I would be the happiest when I get my chance back in the team but it's going to be one game at a time." The key for Unadkat now is to back up his first-class performances with a good showing in the IPL. The last two years have been contrasting for the left-arm pacer. He was one of the architects behind the rise of the now defunct Rising Pune Supergiant side in 2017, where he ended up as the second highest wicket-taker in the tournament. Ignored for the initial four matches, Unadkat bowled a match-winning spell in Bangalore that not only revived his own fortunes but also snapped a three-game losing streak for his side. From thereon, he didn't look back as RPS fell short of the title by a whisker in the end. "It was about making a name for myself," Unadkat says while looking back. "I was out of the reckoning (national team) for quite a bit, so I knew I had to do something special and really have to back myself to the best I can so that I can make a mark and get back into the team. I was also hungry at that point in time and it all happened at the right time. I got my chance at the right time, I started very well for the team. I won a couple of games and from there I really switched it on. It is one season I can really look up to if I want to get some inspiration." His variations, in particular, came in handy that season as he consistently delivered at the death overs. But 12 months later, from the highs of the 2017 season, Unadkat felt the heat in 2018. Rajasthan Royals broke the bank and paid a hefty sum to acquire his services on their return to the IPL. Whether it was the price tag, or an over usage of the slower delivery or the Jaipur surface not being as conducive as the one in Pune for his variations to be effective, the legft-armer had a hard time, picking only 11 wickets in the 15 games he played. He believes there were lessons to be learnt which will help him get the best out of himself during his peak years. "You can always learn things, that's how I look at it," he observes. "I'm at that stage of my career where I've reached the peak. If I want the best five years out of myself, which is going to be from now, it is high time I don't dwell on things that didn't go well for me. It is important to learn from mistakes as well. That's what I did. I did analyse what went wrong for me in the last few months when I was trying to put a lot of pressure on myself to execute particular things. In the process, I wasn't really enjoying myself. I was trying to ask too much from myself. That's something I've realised when I analysed what went wrong when I lost my place in the team. "If I look at it now after a good domestic season, it all comes to this, I want to enjoy every single game I play from now on. Be it a game for the Rajasthan Royals, be it a game for Saurashtra, I want to enjoy every single ball I deliver and to enjoy the feeling of just being on the field and doing the right thing. That mindset would help me to be good at my skills at pressure situations also." The Royals have certainly placed their faith in Unadkat despite an average 2018 season. After initially releasing him from the squad, they got him back in the auction once again for a big sum. "They communicated to me that they believed in me and that I would stand up for them and take responsibility. I did it to the best of my abilities. I would commit 100% and took all the efforts for that. It didn't work out in a couple of games which went bad for me but apart from that I was still there and thereabouts. I did bowl some crucial overs as well. You can't really trust the auction process but the way they communicated to me, they were looking to make me a part of the team for a longer period of time and that's what they told me after the auction. They certainly believe in me and the qualities that I possess." Unadkat is now looking forward to working with Royals' new bowling coach Steffan Jones and eventually forming a fruitful partnership with pace sensation Jofra Archer on the pitch. "He looks to be knowledgeable about stuff regarding fast bowling," Unadkat says on Jones. "It will be good for me given that I like to educate myself on my bowling and how things can happen. He is someone who I can go and ask those technical stuff. So it's going to be a good time with him if I want to really educate myself on the technical side of the game. He would be the guy to go to. "Jofra is a great bowler I would say. He is young and he can bowl them fast, that's something not many people can do, so obviously he has a bright future ahead for him. I really want to build a partnership with him such that people find it hard to get by when they are playing me and him together, when they are playing 3-4 overs of us. Like he came last year and made a mark for himself, I'm sure he is going to build it up from there. He is a great fielder as well, great athlete, he is an exciting cricketer." With a spot in the 15-man Indian squad for the World Cup almost out of the equation barring a barrage of last-minute injuries, a realistic target for Unadkat could well be the T20 World Cup. His most recent appearance for India has also come in the T20 format last year. But the Saurashtra man insists on staying focused on the present and making the most of another opportunity to make a mark for himself. "I don't want to keep such targets," he says on national return. "I've done that in the past, I don't want to do that now. It puts that extra bit of pressure on you which can be bad at times. As far as the IPL is concerned, the goal will be to back myself when I'm put under the pressure situations. 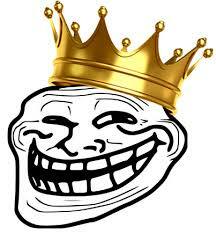 I really want to win those 3-4 games for my team when they rely upon me to bowl that last over to win the game. I want to do it at least 3-4 times this season. That's going to be the goal for me going forward in this IPL." Ab ghodon ki daud mein gadha b daudega. Honestly, M least bothered about this pseudo spinning trundler. All this joker will do is learn a slower ball or two from jofra archer and will end up bowling even slower. it’s commendable how he still has the hunger since his u19 days. Unfortunately he doesn’t have that x-factor to make it big at the top.